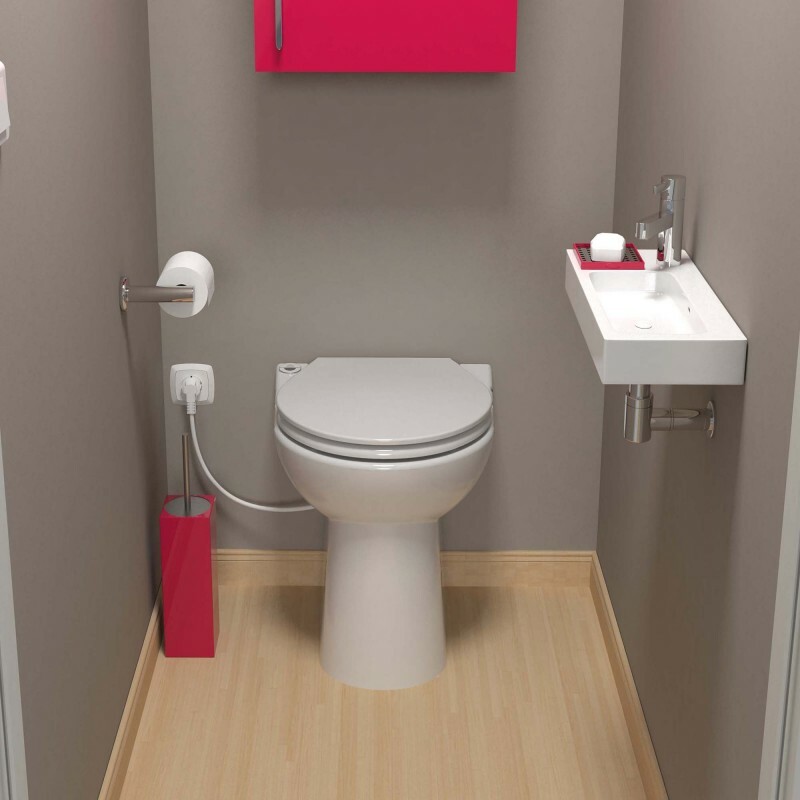 The Sanicompct is a compact WC unit with built in macerator and inlet so you can install a basin to create a cloakroom even in the smallest of spaces. The Sanicompact requires 1.7 bar dynamic incoming water pressure (i.e. measured whilst the water is flowing into the Sanicompact and not static pressure). 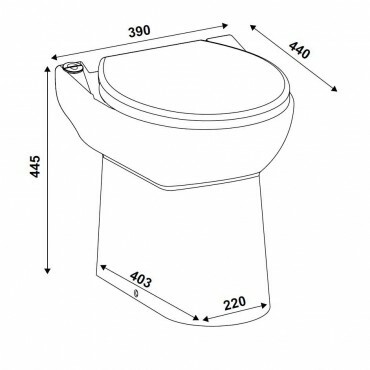 The Sanicompact doesn’t need a cistern and it discharges through 32 mm pipework. 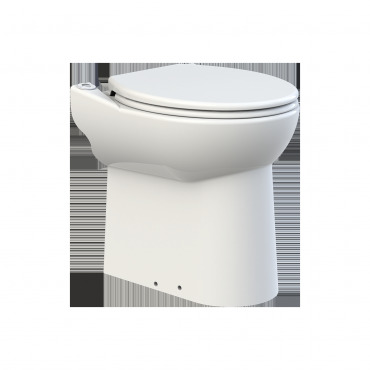 It has an automatic push button flush connected to the domestic mains water supply and it has a water saving flush system. With a soft close seat, quiet motor, no need for a cistern and super-compact design the Sanicompact is perfect for creating an en-suite or cloakroom. The Sanicompact comes with a 2 year warranty. 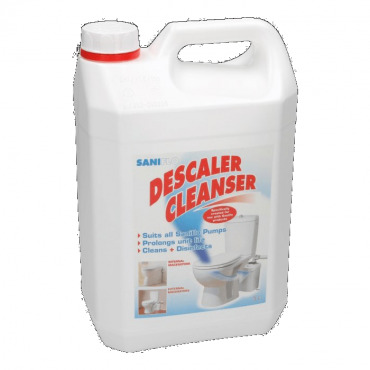 Designed, made and tested in our factory in France and with 60 years of expertise and innovation, the Sanicompact offers you peace of mind and with the back up from our service team there’s never been a better time to install a Saniflo in your home.